KIDS CARE is a children’s educational mission resource produced in collaboration with our colleagues at Canadian Baptist Ministries. It gives young people the chance to learn about children in another part of the world through activities, crafts, games and Bible lessons, while supporting them to respond to God’s love through giving. Children will expand their understanding of community in the world, and learn how their actions make a difference. KIDS CARE has a different theme each academic year and is available as a download. This year’s theme is My home away from home and looks at the importance of belonging. The resources will help children think about the experience of being a refugee or a stranger in a new place and what the Church can do to help. There is also a chance to hear from UK teenagers making their home in Nepal as their parents serve with BMS World Mission. The biblical elements and discussion questions can be pitched at an appropriate level for the age group you are facilitating, and the content will work in a variety of settings and groups throughout the church year. Each part includes a FUNdraiser section, which will allow your young people to share their learning with the whole church or the wider community. From June onwards, the entire year’s themed material is available for use in holiday clubs and summer outreach. 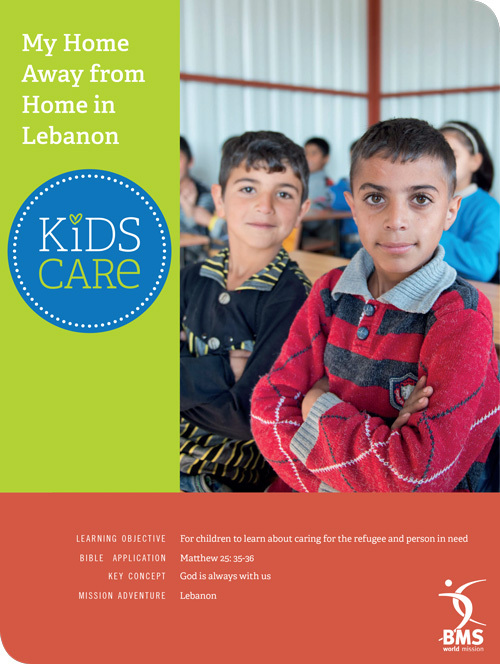 KIDS CARE has a different theme each academic year and is available as a quarterly online download. This year’s theme is My home away from home and looks at the importance of belonging. The resources will help children think about the experience of being a refugee or a stranger in a new place and what the Church can do to help. There is also a chance to hear from UK teenagers making their home in Nepal as their parents serve with BMS World mission. KIDS CARE has a different theme each educational year and is available as a quarterly online download. 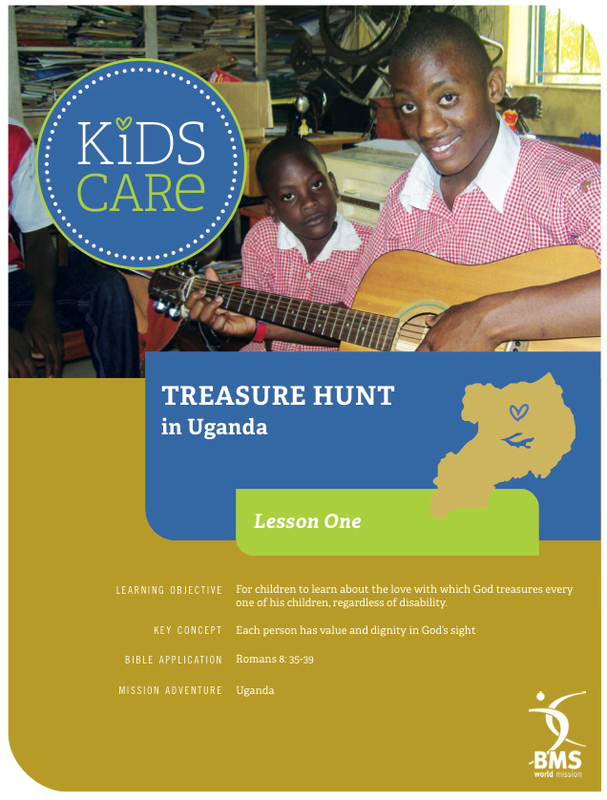 This year’s theme is Treasure hunt and the resources are designed to help children think about how precious they are to God and the value they give God in their own thinking and decision-making. Children, teachers and young people from countries where BMS work help explore that theme across the globe. KIDS CARE has a different theme each educational year and is available as a quarterly online download. 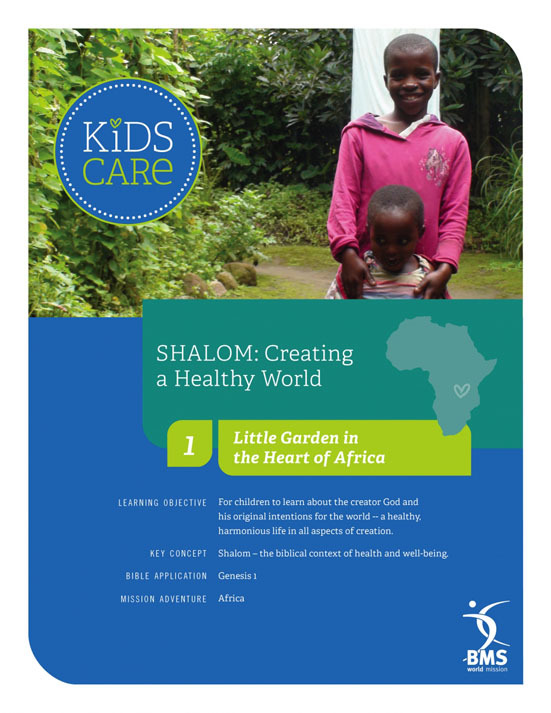 The theme for 2014/15 was Shalom: creating a healthy world. The resources are designed to help children think about the biblical context of health and well-being ― and how that translates to a global setting.